New Product For 2019!! 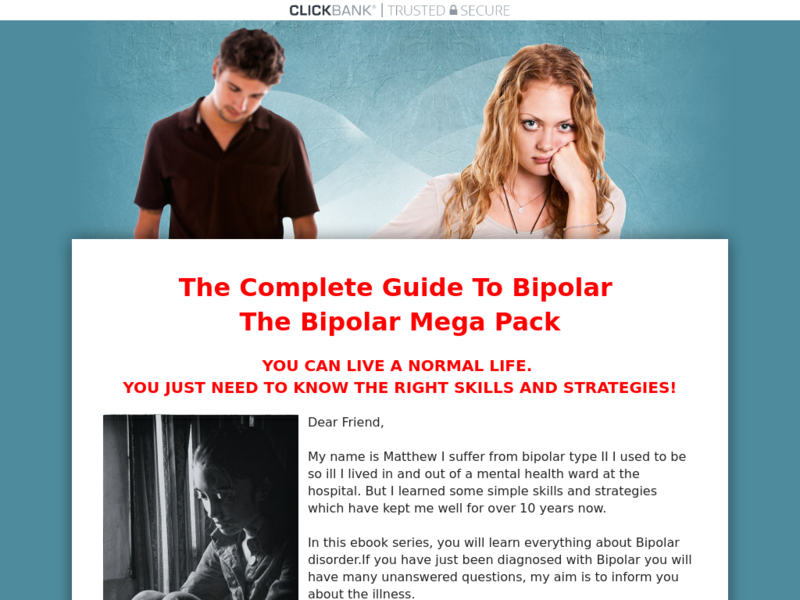 Selection Of Ebooks Focusing On The Topic Of Bipolar. Massive Market Opportunity. Affiliates Earn 70%. With Millions Of People Worldwide Diagnosed With Bipolar, This Is An Exciting Niche To Be In. Low Competition In The Market.